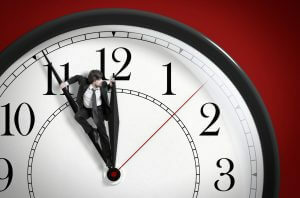 Tracking your employees’ time will have tremendous benefits in the long run of a business or organization. It is a vital part of performance and monitoring that helps bring stats and figures to light which allows shareholders and managers to understand the health of their operations. The concept of timing employees leads to better efficiency in payroll processing and lesser policy compliance issues along with attendance, vocational, and time-off policies. If not accurate, data can interfere with reporting and labor records. Therefore, accuracy is vital. There are many ways to keep accurate data records, however, it largely depends on the solution being utilized. No matter where, even on field trips or traveling for business meetings, an employee on the go can use this solution to effectively give data that is a coalition of facts pertaining to their travel activities. The information provided through the use of such systems is integrated into the payroll system so that an accurate picture of the working hours is achieved relating to the employee’s working hours. GPS is another technology on cell phones that is able to collect data in order to track movements legally. This practice alone could help a business without investing in technological installations. It’s simple to track employee timings and hours that are fed into the system which streamline with actual data such as time capturing processes. This increases the percentage of accurate data present in the system which leads to precise reporting and monitoring. Due to technological advancements, there is a better and less expensive version of the punch card system that has been updated and upgraded to track employee time. It doesn’t use the traditional time card stamping but uses an ID tag for clocking in and out. This data is spontaneously sent to the system which processes it further for employee attendance and other benefits. The importance of accurate tracking cannot be stressed enough and meeting the numerous regulatory requirements is also dependent on the accuracy of the information received. All tracking solutions should comply with governmental regulations and policies. Inaccurate or faulty data could lead to inadequate record keeping which ultimately fails the system and evades the purpose. An automated system to track employee time and benefits will help in reducing errors and bring any non-compliancy issues to the surface. Installing software into a system which is part of the whole business is risky. Software that is devoted to data capture may only solve half the problem in tracking hours. Then arises the question of how to share the data with other software in the system that needs it for accurate processing via other applications and software already in the system. Critical to payroll, time off, and compliance needs, all software has to be able to integrate well to track employee time so that data can be seamlessly processed. Cloud computing is a blessing for organizations which holds its records and monitors data that is imperative for growth. Be it attendance records or payroll records, everything can be sorted here. It is expensive but worth the investment as businesses flourish and develop when using cloud computing. Hardware is increasingly becoming obsolete and the cloud works well for markets as decentralization helps create more opportunities. Cloud systems are here to help with more and more businesses who need accurate record keeping of data that helps them monitor performance that is crucial for good administration and management to track employee time.